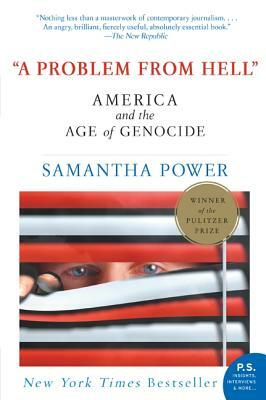 In her award-winning interrogation of the last century of American history, Samantha Power—a former Balkan war correspondent and founding executive director of Harvard's Carr Center for Human Rights Policy—asks the haunting question: Why do American leaders who vow "never again" repeatedly fail to stop genocide? Drawing upon exclusive interviews with Washington's top policy makers, access to newly declassified documents, and her own reporting from the modern killing fields, Power provides the answer in "A Problem from Hell," a groundbreaking work that tells the stories of the courageous Americans who risked their careers and lives in an effort to get the United States to act. “A damning indictment of American passivity in the face of some of history’s worse crimes.